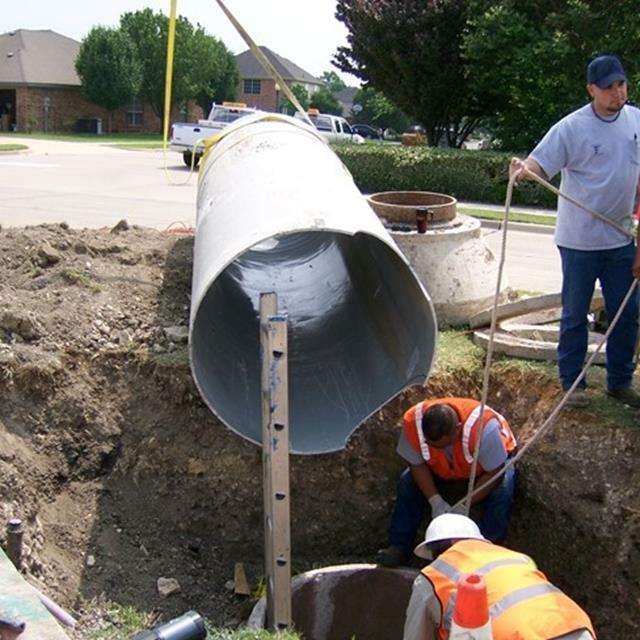 Manhole Liners (also referred to a Manhole Inserts) provide a structural repair to manholes that have experienced corrosion or deterioration due to aggressive environments. 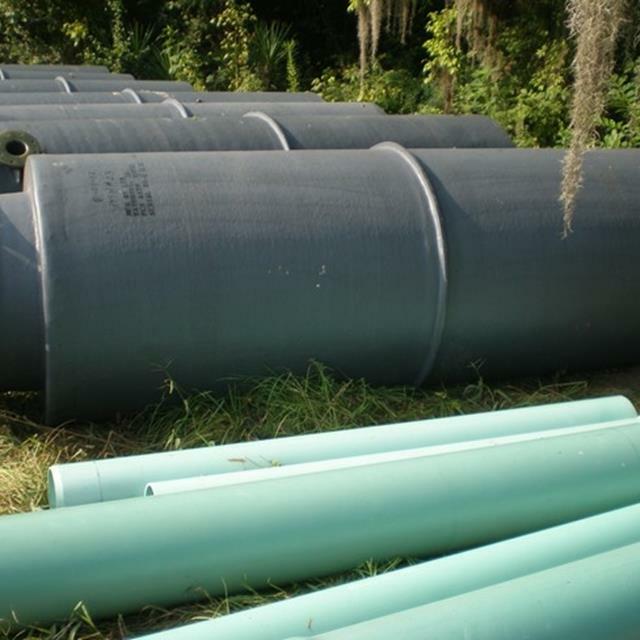 These liners are designed to fit inside deteriorated manholes. 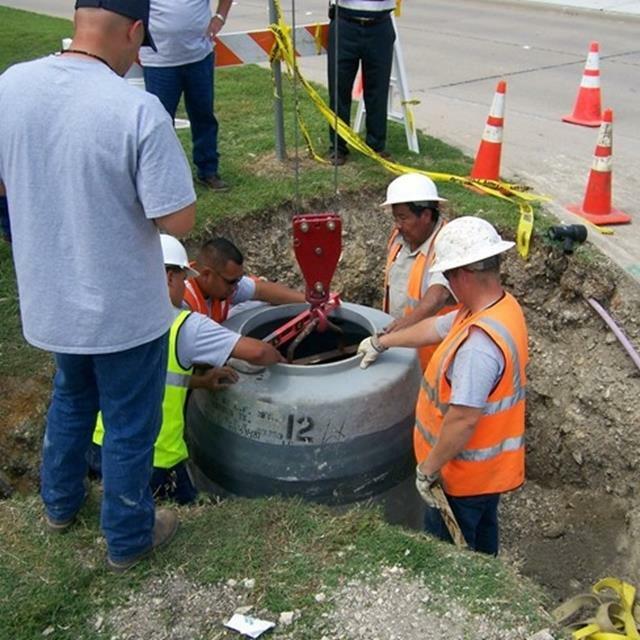 Diameters of the manhole liners are sized 6-inches smaller than the host manhole diameter. 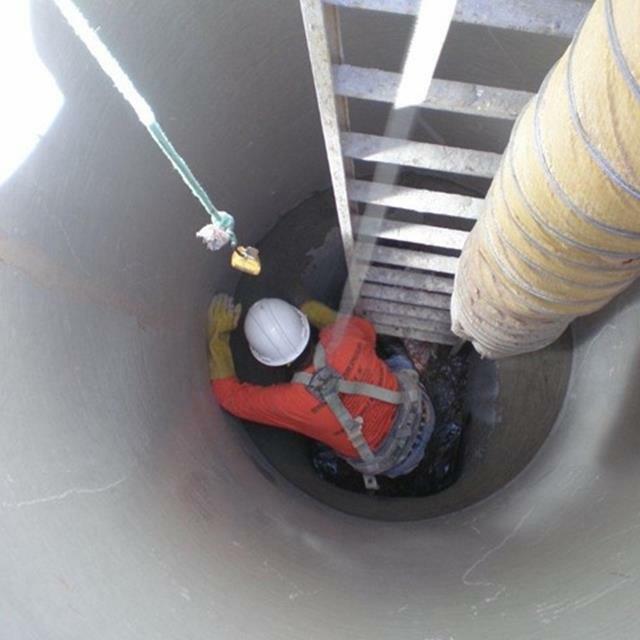 Prior to installing the manhole liner, the installer cuts the liner to the proper length and to accommodate all pipe penetrations, as required. 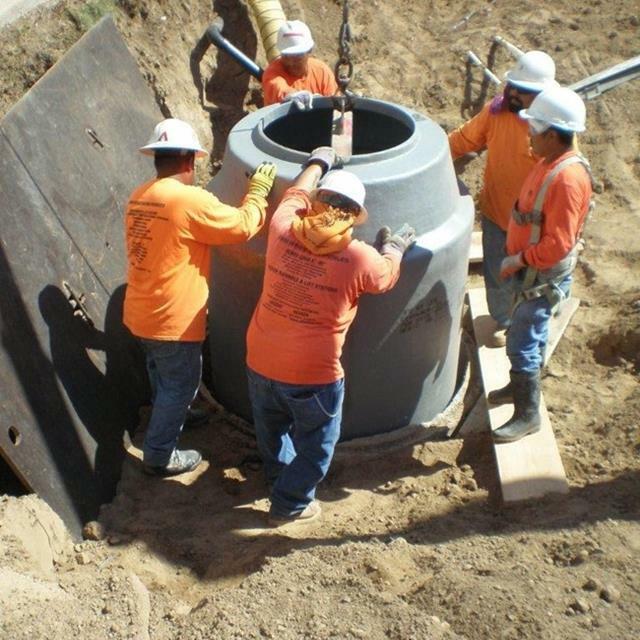 Installations typically involve removing the cone section of the host manhole and lowering the manhole liner until it comes to rest on the bench of the host manhole. 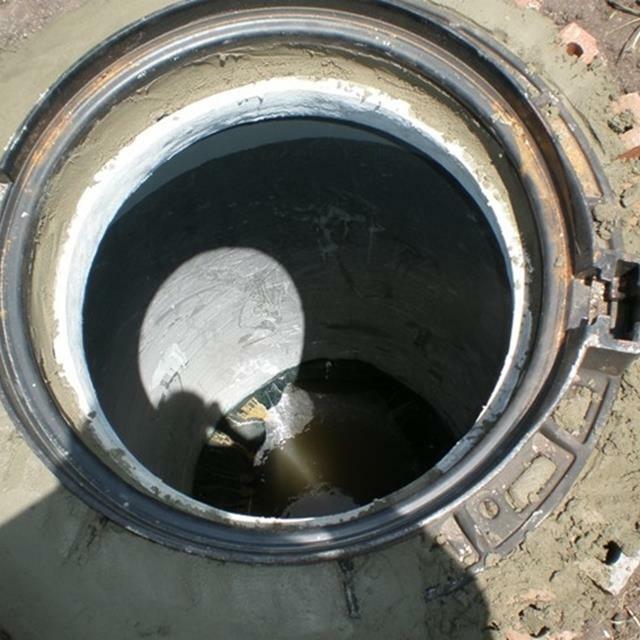 After insertion, the manhole liner is braced in position, then grouted into place. The portion of the manhole liner that extends above the host manhole riser is, then, backfilled with suitable granular material. 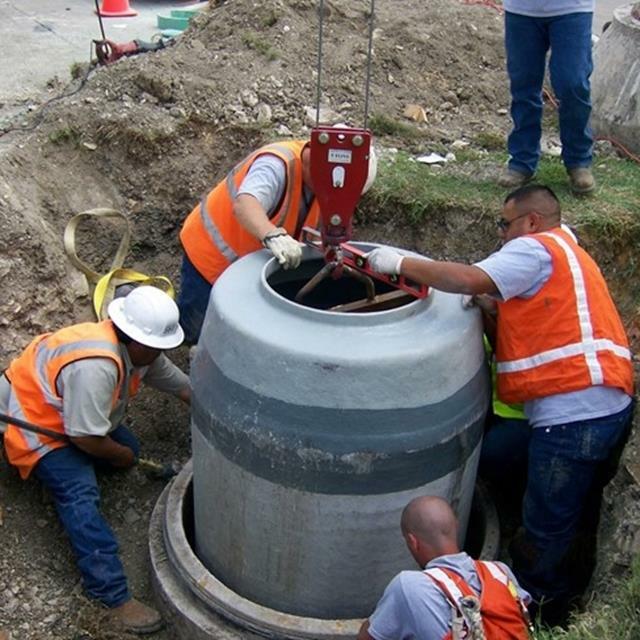 The manhole is then brought to grade using grade adjustment rings and ring & cover. 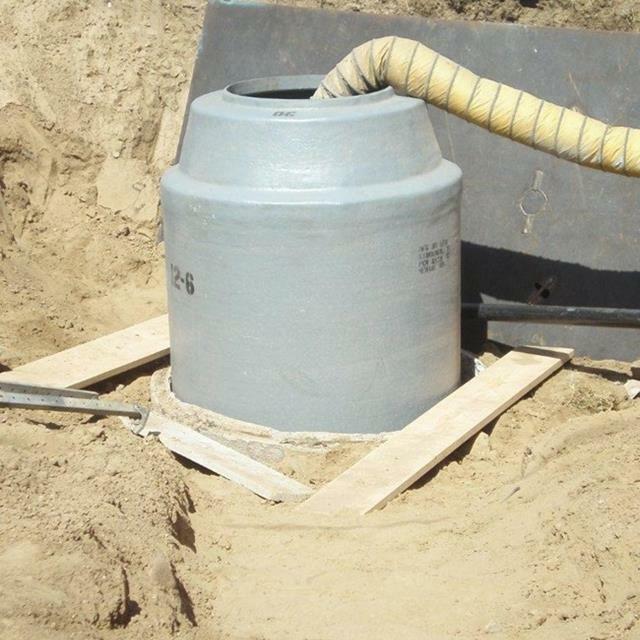 Manhole liners are designed to withstand all structural loads (i.e. soil, hydrostatic, H20 traffic) as with direct bury FRP manholes without the aid of the host manhole or annular grout. 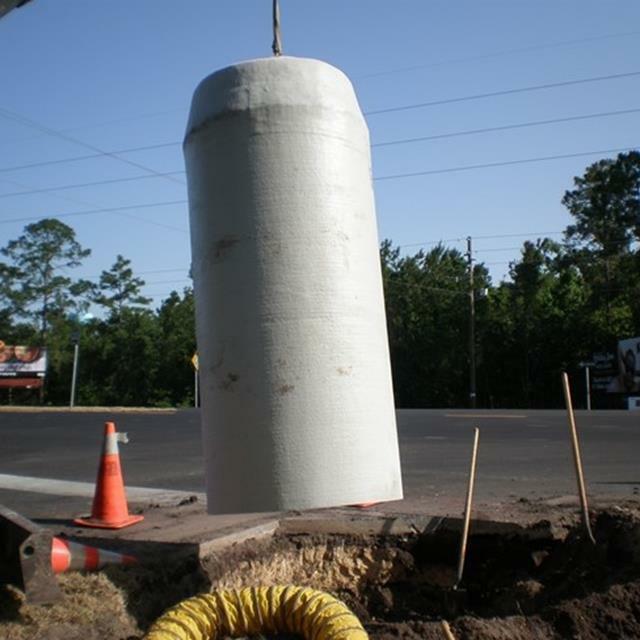 LFM’s fiberglass manhole liners are available in diameters from 36” through 168” (14’). 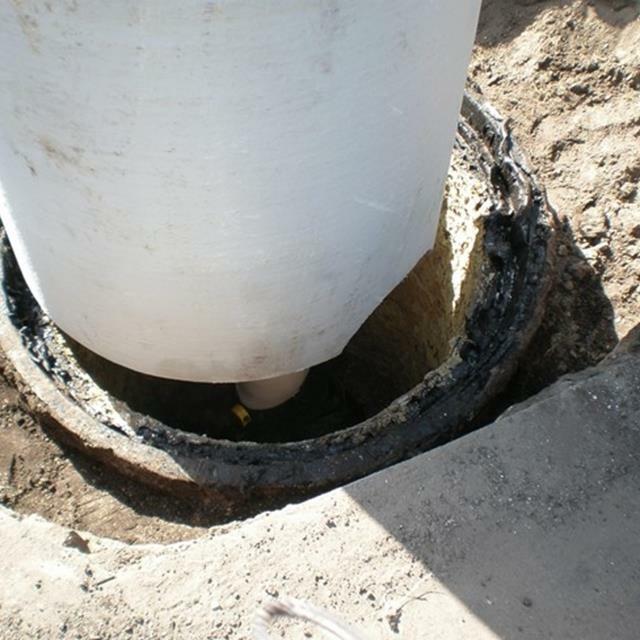 We recommend using a fiberglass manhole liner which is six inches smaller in diameter than the existing structure. Standard depths are available from 2’ through 40’. Greater depths can be custom fabricated per engineer’s specifications. 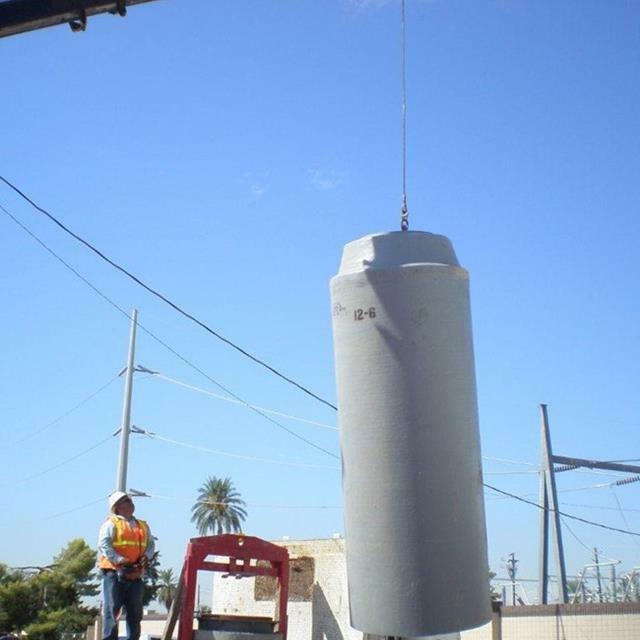 Our fiberglass manhole liners meet or exceed all ASTM requirements for fiberglass manholes. 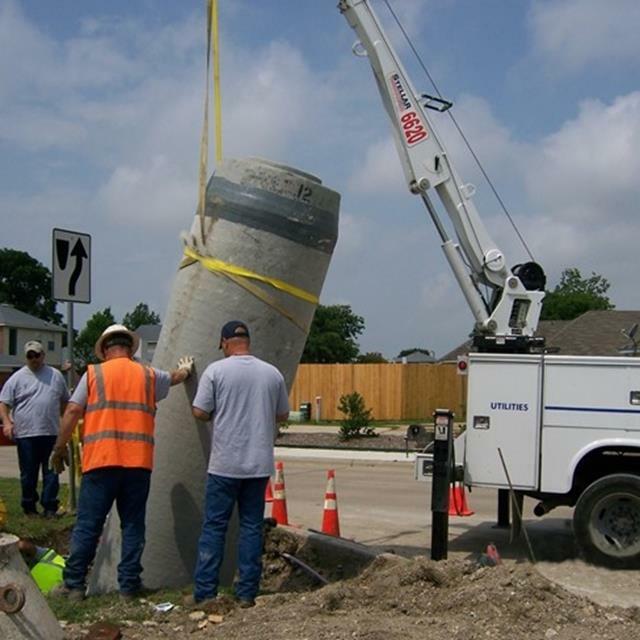 LFM’s fiberglass manhole liners are designed to withstand the rigid requirements of ASTM Specification D3753 for glass fiber-reinforced plastic (FRP) manholes. 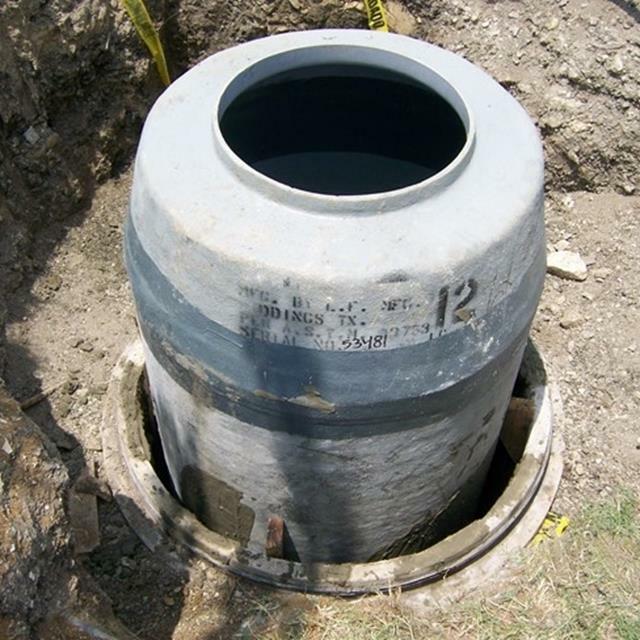 In addition to the ASTM standards, our fiberglass manhole liners meet H-20 load requirements. 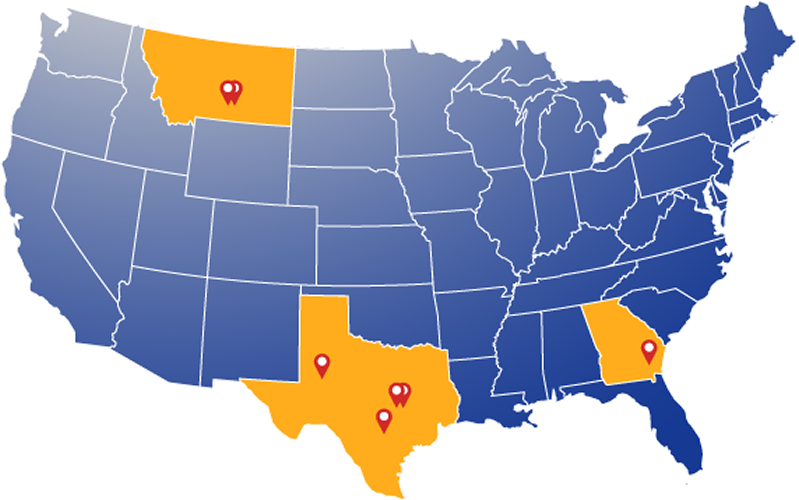 Our products are engineered to provide you with long and trouble-free service. 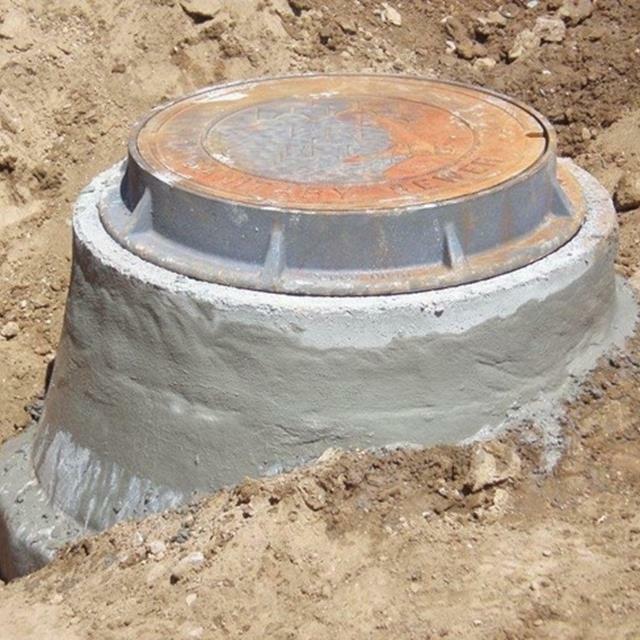 The one piece design of LFM’s fiberglass manhole liners makes installation economical and easy. 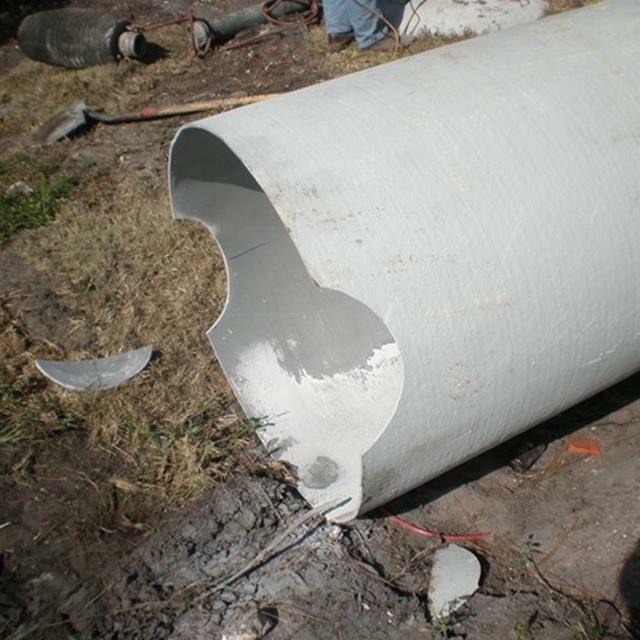 Our fiberglass liners are light-weight which eliminates the need for heavy equipment on the job site. Installation is less time consuming because there is only one piece to install. 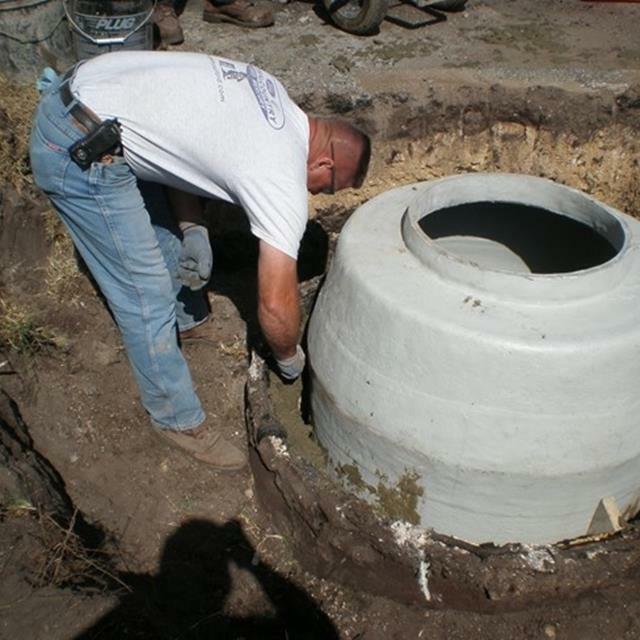 In a short time, an old decaying manhole can be easily transformed into a newly lined fiberglass manhole. Prepare excavation around old manhole. Be sure excavation is properly shored for safety. 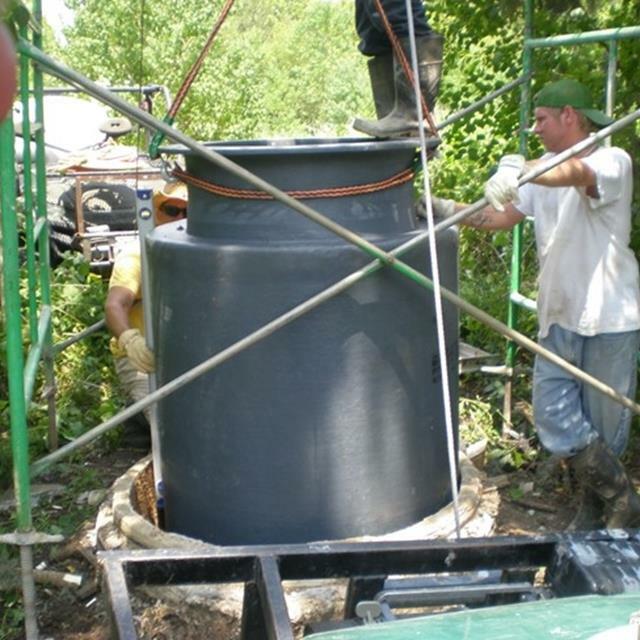 Remove existing ring and cover and reducer section. Lift the manhole liner by inserting a 4” x 4” timber into the opening at the top of the liner. 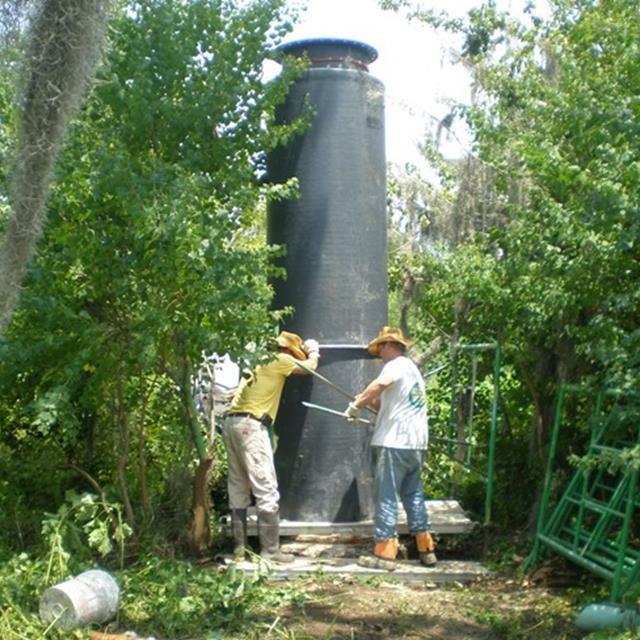 Attach a rope or chain to the timber and lift with a backhoe or other lifting device. Set the manhole liner into existing manhole. Mark the contour of the existing bench area onto the fiberglass liner. Remove the liner and cut along the contour mark. Set the liner into the existing manhole in a concentric manner. Use a nonshrinking grout to seal the area between the bottom of the liner and the existing bench area. Fill the area between the liner and the existing manhole using a concrete grout poured evenly in one foot lifts. Bring the manhole to final grade using brick or pre-cast concrete grade rings mortared in place. Replace the ring and cover. 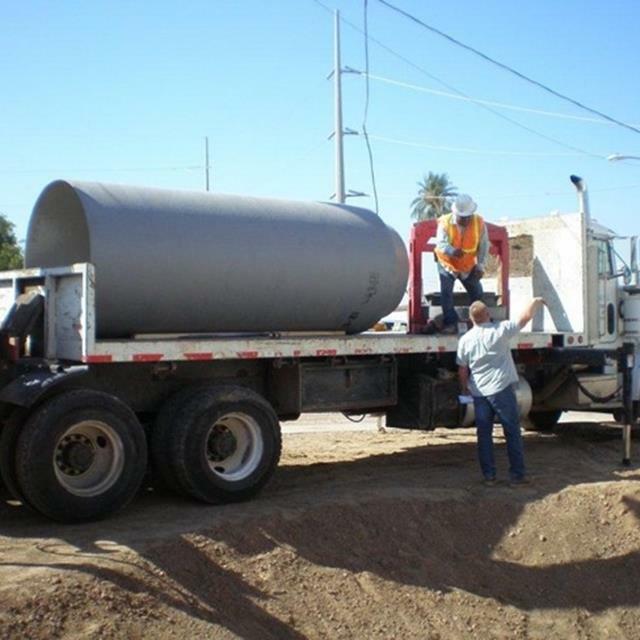 Backfill according to engineer’s specifications using moderately compacted sand or crushed stone. In a short time and with minimal work involved, an old leaking concrete manhole has been transformed into a newly lined fiberglass manhole.